Of the wide range of gambling games that are now available online, progressive jackpot slots have become one of the most popular. The main reason for this is the rather large sums of money that can often be on offer in these kind of games, which can make playing them very enjoyable. Not only that, but the more you play a progressive jackpot slot game, the bigger the jackpot becomes. It's no wonder then that people often have a lot of fun and get a lot of enjoyment out of playing this particular kind of slot game. How do progressive jackpot slots work? There is no major difference in terms of the way you play progressive jackpot slots, compared to regular slot games. All you do is select how much you want to bet then spin the slots and see what happens. The only difference is that every time you place a bet, a percentage of your stake is added to the jackpot. This means that the more you play, the more money you could potentially win. This can be a lot of fun, but it can also have risks as well. Naturally, because the jackpot is increasing with each bet, it encourages people to place higher bets and keep playing for longer. This can often lead to players losing a lot of money in search of a large jackpot. That's why this game is probably not well suited to people who often lose their head when playing slot games. Some sites have now started imposing strict limits on the amount of bets that can be made on these kind of games, which has made a massive difference in the aim to promote responsible gambling. That said, if you are able to keep your cool and not get carried away, this game can still be very enjoyable to play. How do I improve my chances of winning on progressive jackpot slots? If you are responsible with your gambling, you don't lose your head and you have a strict budget, then betting the maximum amount of coins is considered the best way to win. This is because not only does it improve the overall jackpot, but it also increases your chances of getting that complete jackpot when you win. Some games will only give you a fraction of the jackpot if you win while betting the minimum amount, which can be quite a surprise for some people when they win. The best thing to do is bet the maximum to ensure that when you win, you do win the complete jackpot. Again, this is only something you should do though if you are responsible and have a budget. 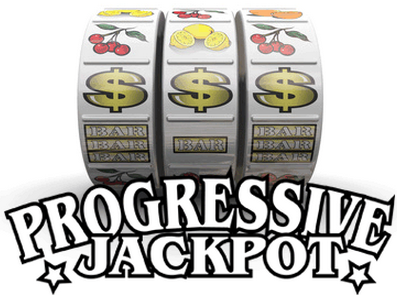 Are progressive jackpot slots worth the money to play? The odds of winning on a progressive jackpot slot are roughly the same as winning on a regular slot game. The only difference is, the jackpot can be substantially bigger. Progressive jackpot slots can be worth the money if you get enjoyment out of playing them. And who knows, maybe you will win that big jackpot.